Consumers want to spend less time accomplishing more with their financial institutions. The rise of omni-channel banking and innovations in technology has changed consumer expectations. Consumers now demand convenience and use payment apps and digital banking channels to manage their finances. ATMs however, remain relevant… with the volume of ATM transactions continuing to grow at more than 5% each year as consumers want more convenience. Encouraging consumers to achieve more with ATMs, helps financial institutions meet their desire of driving more transactions to the self-service channel and making better use of automated technology. 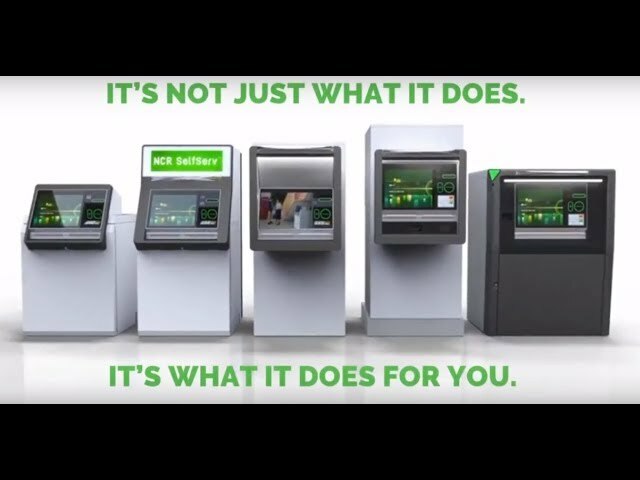 NCR’s Self-Service Reinvention Enterprise based software applications and services, unlocks the experiences your tech-savvy consumers want and can help future-proof your financial institution. Our ATM software has been ranked number one in the world by RBR in their latest multi-vendor software industry report. Our state-of-the-art ATMs provide a rich consumer experience and enable quick and easy transactions with a greater range of services that a consumer can do themselves. Allowing consumers to access more services through the ATM also reduces costs for the branch by enabling tellers to engage in high value activities. Our solutions enable a seamless omni-channel experience with your financial brand, enabling your consumers to move seamlessly from self-service at the ATM to requesting in person or remote assistance. By migrating routine transactions such as deposit and account services to an automated self-service channel drives greater consumer convenience and allows branch tellers to focus on relationship and advisory sales activities. Placing the consumer at the center of everything you do is vital for financial institutions now and in the future. Individual and small business banking customers still demand convenient, secure access to their cash. We provide the ATM technology – whether it’s cash dispense, intelligent deposit or recycling – that you and your customers can rely on. That’s why we’ve led the world in ATM modernization for over a quarter of a century.